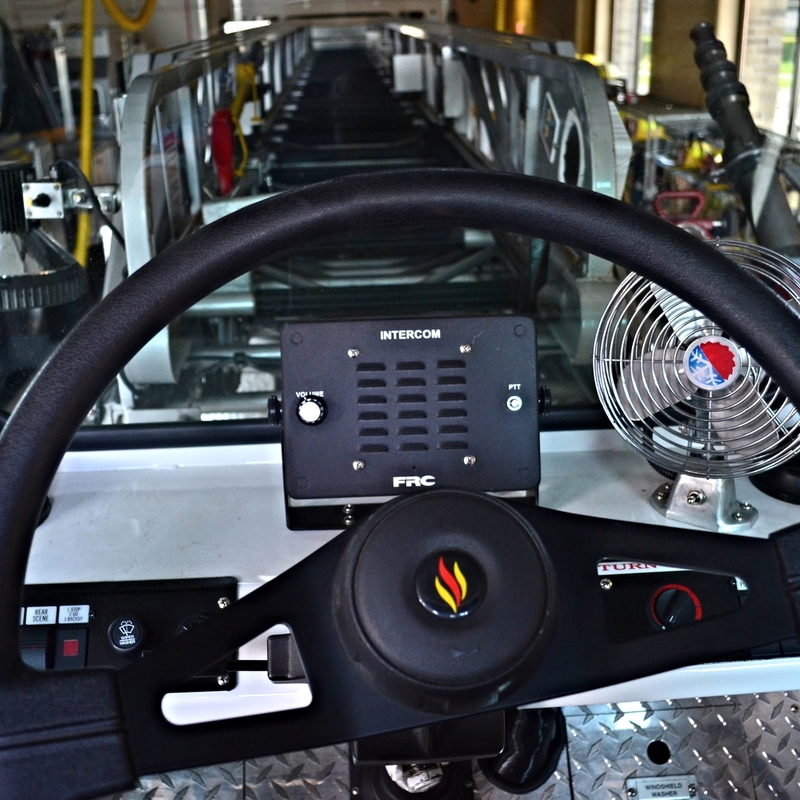 With modern fire apparatus the driver and tiller operator communicate using headsets. Before headsets they used intercom systems and before intercom systems the driver and tiller operator used a buzzer system to communicate. Tractor drawn aerials still come equipped with the buzzer system, however the intercom system is not a standard item and would require specifying with the manufacturer during the design phase.